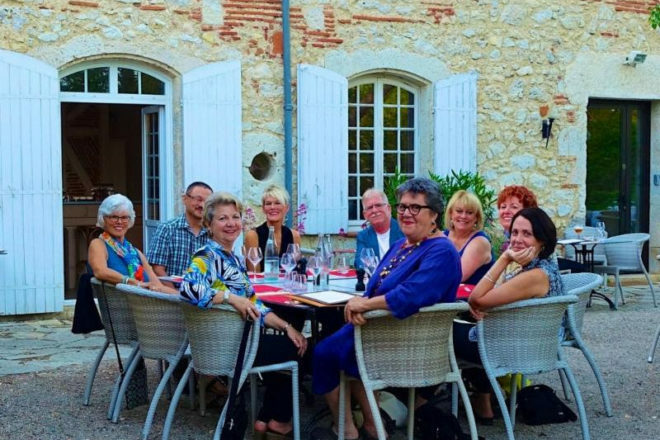 A group of Savory Spoon travelers enjoy a meal in Gascony, France. Chef Janice Thomas, of Savory Spoon Cooking School. 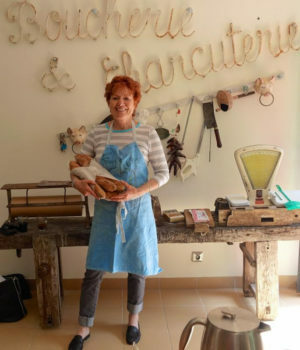 For more information or to see the full itinerary, visit savoryspoon.com/gascony.htm.